804 Old Rocky Ridge Ln, Birmingham, AL.| MLS# 837477 | Richard Jacks UABLIVING.com 205-910-2297 | Birmingham AL Real Estate | Contact us to request more information about our Homes for Sale in the Birmingham AL area. BACK ON MARKET!! Move in ready!!! 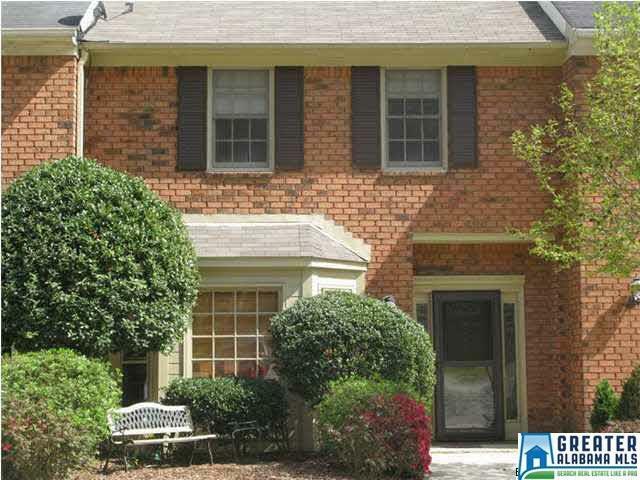 Two Bedroom two and a half bathroom townhome located convenient to Vestavia, Hoover and downtown Birmingham. Brick exterior and storm windows with updates to include, roof, flooring, interior/exterior paint, front door, stainless appliances and much more. Hardwood flooring in the family room, hall and upstairs foyer. Family room is spacious and has built-ins, gas log fireplace, a dining nook. The kitchen has new stainless appliances, eat-in space with bay window, plenty of cabinets, pantry and island space. Upstairs the bedrooms are huge with private baths. Both bedrooms are large and have two closets (Walk in)! The second bedroom has access to the walk up attic. The covered screen deck was built in 2010 and is the place to relax and has a private view for year round enjoyment! The open deck has grilling space and stairs to the fenced backyard! Driving Directions: I-459 To Acton Road. Turn Left On Old Rocky Ridge Road. Turn Left On Old Rocky Ridge Lane And Follow Around To Right. Home Is On The Left.